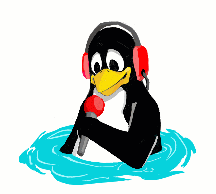 RadioActive is a small radio application for Video4Linux-compatible radio tuner cards. The lowlevel functions were initially based on GRadio, but RadioActive has a traditional, "real-world radio"-like interface. It is written by Gerg� �rdi. And there was much confusion and missing CVS tags. And then 1.3.1 descended from the Heavens, and everyone was happy. RadioActive development is becoming alive again! I'm currently working on implementing some new features (and a completel M/V/C rewrite), and after a new release, I'll begin porting to GNOME2! Stay tuned. The RadioActive page has received its 20,000th visitor. Thanks for all of you for looking at RadioActive, using it, sending me feature ideas (or, in some cases, actual patches). The future of RadioActive lies pretty much in your hands -- your feature ideas will determine the road ahead. My current plan is to port RadioActive to GNOME2 as soon as GTK-- and GNOME-- gets there. The main user-visible feature I would like to implement is automatic channel setting -- I have no idea if this is doable at all with the V4L API, but I am willing to give it a try. So, keep watching this space for RadioActive news. You also need GTKmm, a C++ interface for GTK+ and Panelmm, a similar wrapper for panel applets.